Well, every Monday when there’s some new fish to offer, the weekly Top 5 Update gives you their pictures. 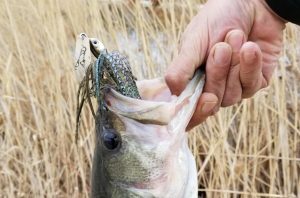 In addition, the details of the catch accompany the fish and typically include the bait that got the job done. 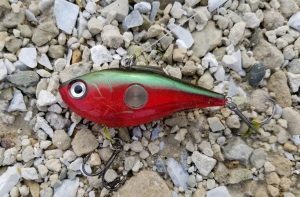 As a bonus Top 5 post we’re going to take a more in depth look at the specific lures that are fooling our fish thus far in 2019. 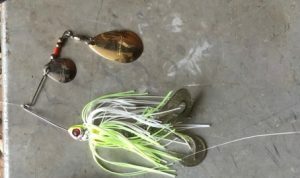 Pictures of all the winning lures along with some notes and stats below, so read on. 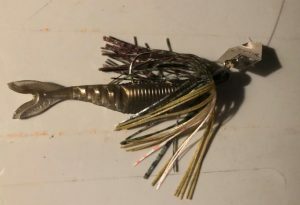 Also referred to as bladed jigs, this lure type is a relative newcomer with origins dating back to 2004 but not experiencing a real sales explosion until a few years later. For our group in 2019 it has had the best start in terms of numbers and is pushing the 20-pound mark for a collective Top 5. 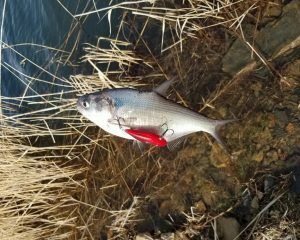 Definitely a lure that you should give a go early in the season as a proven producer. Generally a faster moving bait than most other cold water offerings and still makes me scratch my head at times on its early season effectiveness. No need to ponder though, just throw it. An interesting detail here is that Jim Junk’s now not so secret weapon happens to be a bait that is no longer in production (note: Jim gave me permission to reveal). 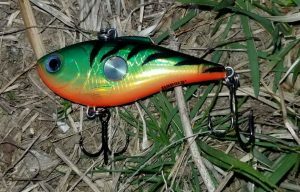 The Rapala Clackin’ Rap is now the denizen of the online auction and there’s plenty of them out there if you are willing to fork over the bucks. 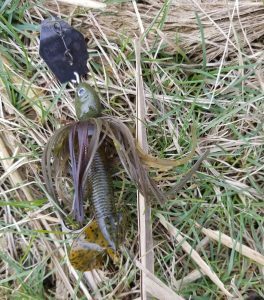 Another cold water standby that can fool some big cold water bass, this one has taken a back seat to the faster paced and noisier offerings noted above. 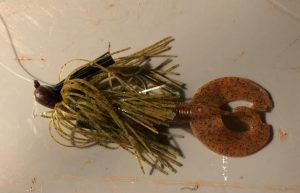 Certainly recommend having one of these tied on this time of year and don’t be afraid to throw it into some of the nastiest looking wood and/or rock in the fishing hole. 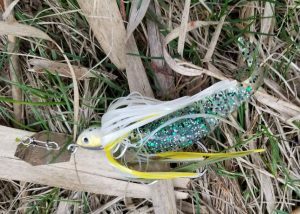 Not much to show for this old school lure that has kind of fallen out of vogue in the last 20 years or more. However, I’m a firm believer in them and when given a shot they still get the job done, just not as glamorous as some other baits. I would have to say more of a fall presentation for me but I still keep the faith of that 1980s kid who cut his bass fishing teeth on them and have had one tied on each time out in 2019. A perfect example of the allure of “the real thing” along with reinforcing the fact that if you have a bait in the water anything can happen (Jim caught this entry while crappie fishing with a minnow). 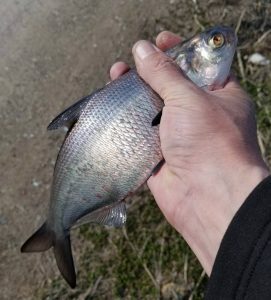 Jim also provided the pics below of what some of his Fulton County bass are likely eating so it’s no wonder that there are some darn healthy fish swimming down there. Fulton County, IL forage – I want to catch something that’s eating that! 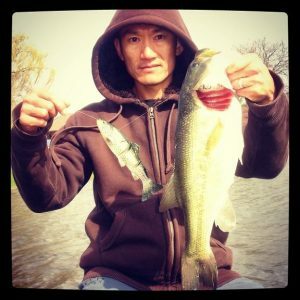 Such forage takes me back to 2014 and the initial year of the Top 5 as there was a Chicagoland area angler who used to prowl the banks of his local waters armed with large swimbaits. 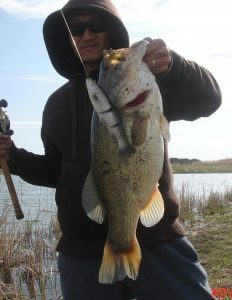 While the bites could be limited on such giant baits, when they came they were quite impressive as seen below. Top 5 Flashback from 2014, quality vs. quantity dilemma on large swimbaits. Your choice?